This is the second part of ‘Perdana Trail: A Heritage & Historical Walk’ around the city of Kota Bharu in Kelantan, a state in the northeast of Peninsular Malaysia. 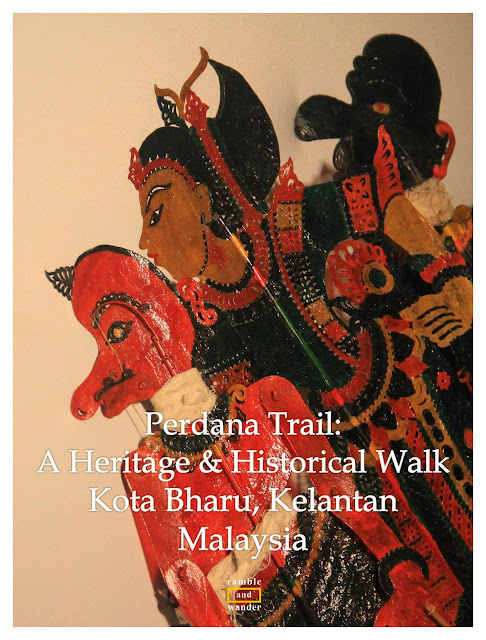 Perdana Trail is initiated by Hotel Perdana Kota Bharu, which is taking the initiative to introduce and promote this walking tour and the city in general. To read the first part of the trail, click here. After the refreshing break, we walked pass by Buluh Kubu Bazaar and headed towards Istana Balai Besar, the ceremonial palace for the state’s royal family. Located almost in front of the palace near the main gate is a small square brick building (measuring just 12 ft. x 12 ft. x 12 ft.) called Bank Pitis. Pitis is what Kelantanese calls money in their local dialect. Built in late 19th century, Bank Pitis served as a treasury for the state where all the pitis belonging to the state were kept there. It’s kind of hard to believe that the state’s money was kept in such a small building even after a few decades into the last century. Istana Balai Besar is not opened to the public but Istana Jahar (Jahar Palace), located just across the road from Istana Balai Besar, is. A royal residence built in mid-19th century, the palace is now a Royal Museum that showcases the traditions and customs of the state’s royal family. While all the exhibits are fine and dandy, I was more attracted towards the architecture of the palace, especially its intricate carvings, two beautiful spiral staircases and large veranda at the front of the palace. By the way, if you come here, do make sure you don’t miss the "house" located right behind the palace as it showcases different types of local & traditional weaponry including keris. From Istana Jahar, we retraced our steps back towards Istana Balai Besar and walked along Jalan Istana towards Muzium Istana, which is more commonly known as Istana Batu (literally Stone Palace). Originally a wedding gift to the then sultan’s nephew (whom later himself became a sultan of the state), the museum provides a glimpse into the life of a past royal as well as Kelantan’s royal institution itself. Located just across Istana Batu is Kampung Kraftangan, the place to be if you want to see how Kelantan’s arts and crafts like silverware- and wood carving is done, batik is made and songket is woven. If you’re lucky, you might be entertained by some live traditional music or able to see demonstrations of silat (Malay martial arts). Kampung Kraftangan is also probably where you should buy your souvenirs from if you’re looking for some, despite the fact that the place might look like too touristy for you because of the crowd. Fret not because most of the crowds are not tourists. Instead they are mostly locals who are frequenting the restaurants in the area, which includes, among others, the famed Nasi Ulam Cikgu. Right underneath Kelantan Craft Museum in Kampung Kraftangan is a beehive of activities, thanks to Nasi Ulam Cikgu, a restaurant that is well known for serving Kelantan’s popular and mouth-watering meal, nasi ulam. We arrived here during lunch hour and were thankful that our seats had been reserved considering that the place was already packed with customers enjoying their lunch. We didn’t have to wait long before our group set meal was served (photo above). unlimited supply of white rice, water and syrup drink. This whole lot is suitable for 5-6 persons. Can you guess how much all these cost? It's just RM56 (about USD15)!!! Oh boy! Weren’t we stuffed! We needed the exercise after lunch, so we walked along Jalan Tengku Seri Akar before entering Jalan Sultanah Zainab in front of Muhammadi Mosque. Right around the corner of the mosque, on Jalan Sultan, is Muzium Islam, the place where you can learn more about Islam in Kelantan, its history and how it becomes an important part of everyday life in perhaps the most conservative state in Malaysia. The museum is set in a beautiful wooden house that was built in early 1900s as the official residence of the state's chief minister. At the time of visit, there was an exhibition on the life and contributions of the late Tok Guru Nik Aziz, who was the chief minister (from 1990 until 2013) and also a well-respected Islamic religious teacher. Just down the road from Muzium Islam is Kelantan’s War Memorial/Museum, housed in a building called Bank Kerapu which, when it was built in 1912, was the first stone structure as well as the first bank to be opened in the state. Kelantan was the point of entry into Malaysia (then Malaya) by the Japanese army during World War II in 1942. It was also the exit point for them following their defeat just over 3 years later in 1945. During Japanese occupation, Bank Kerapu was made the HQ of their secret police service for war coordination. Naturally, the War Museum today focuses on the Japanese occupation of Malaya and also the 1948 Emergency following the return of the British. Some might find this museum a bit boring but if you’re a history buff, this could easily be the place to park yourself for hours on end. Personally I found it to be quite interesting reading and seeing exhibits relating to the Japanese occupation of the country. There’s also a reference about how the late Tun Hussein Onn (Malaysia’s third Prime Minister) was recruited by the British when he was still doing his army training in India to help strategise with the recovery of Malaya from the Japanese – something which I first picked up when I visited Tun Hussein Onn Memorial in Kuala Lumpur a few weeks back. And then, there are also photos of Tok Janggut, a local Malay warrior who rebelled against the British in early 20th century, being killed with his dead body being hung upside down for display to warn the locals the repercussion of such rebellions. It was quite a sober reminder on why we should never take our country’s independence for granted. Perdana Trail ended here at around 3 p.m. after almost 6 hours of walking (and eating) around the city following its rich heritage and history. It could easily have taken much longer if we were to stay at each place a little bit longer for a better appreciation. And in case you haven’t noticed, we didn’t even cover shopping places like the popular and colourful Pasar Siti Khadijah (Siti Khadijah Market) and Buluh Kubu Bazaar. Following this walking tour, I’ve come to realise that Kota Bharu should not just be a transit point on the way to Perhentian Island, which many appear to be guilty of making these days. It should be a destination in itself or at least “packaged” with another destination (including Perhentian Island, if you prefer) to offer a more complete holiday. Why? Because while most people think there’s nothing much to see in Kota Bharu other than Pasar Siti Khadijah, the city is actually not just about the market. There are plenty more things to do and places to see: food to try, culture to experience, history to learn and traditional architectures to marvel at. Perdana Trail has just proved that. Give Kota Bharu a chance, and you might just be pleasantly surprised. 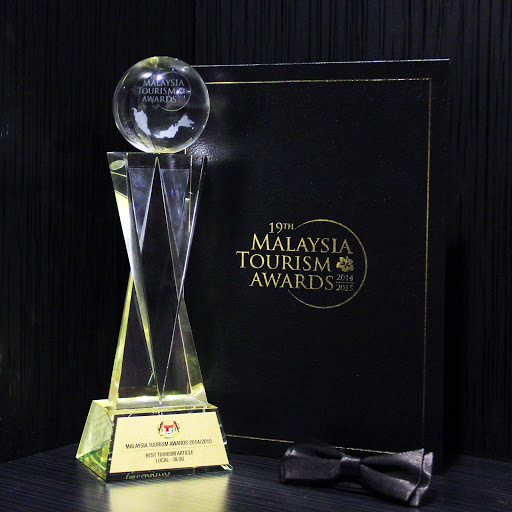 My appreciation and thanks go to Hotel Perdana Kota Bharu and Destination Malaysia for the opportunity to join Perdana Trail, a walking tour of Kota Bharu in Kelantan in May 2015. Going to Kota Bharu, Kelantan? Do check out Hotel Perdana Kota Bharu for your accommodation requirements there. Something funny happened when we were having no 10. The guys at my table semua cuma nak nasi separuh pinggan when we first started sebab kata masih kenyang. Tiba2 kenyang entah ke mana, semua tambah nasi 2, 3 kali, hahaha! Love the intricate designs on everything. It's just so beautiful! Oh wow, I love visiting palaces that have been converted to museums, the exterior wood paneling is gorgeous. I would love to visit some day. Yup, me too! Why I probably love Istana Jahar the most. Also have just been told that the palace was built without using any nails! Amazing! I agree with Revati, I love the detail in the designs..especially the staircase. Comprehensive post! Just went to KL for a day years ago. Guess I should spend more time! Ok. Beside the food, which I love, those building have such great details. Even the bed is so amazing. Beautiful photos, and looks like a spectacular walking tour! Looks like you found some great stops! I think the Islamic Museum would be a really interesting spot to check out! Haa! Sama la kita, haha! Tiba2 rasa macam nak fly ke sana dan explore dgn lebih lanjut lagi. Abe pung nok kelik Klate gok la kalu ginih pasa napok mace rama jo calon kat hotel tuh. Tu hok tibo2 paseh joh kecek Klate nih #eh haha! Walking around with a stuffed tummy surely didn't feel much pleasant right? But still we needed the 6 hours walk, if not I can't imagine how we all would feel with all that food in our stomach. The Palace Museum I heard was amazing. Never knew it was a wedding gift. Very cool photos as well. Great information.